Itachi Uchiha is easily one of the strongest characters in Naruto and definitely one of the coolest. 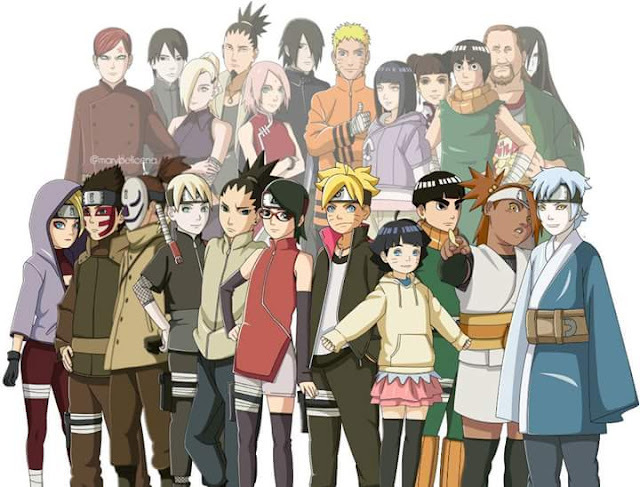 His character is loved so much by everyone who watches the Naruto anime and he is in fact compared to a bunch of characters who are in their own right legends in the narutoverse. How strong was Itachi Uchiha? Lets analyse this a bit. Itachi possessed very strong chakra even within the Uchiha and a proof of that was when he mastered the Fire Release: Great Fireball Technique at a young age and at his first try. He awakened the sharingan and mastered it to a level even other Uchihas could only dream of and at the age of 11, he joined the Anbu Black Ops division. Lets look at the weapons in his arsenal. Lets start with his preferred form of attack: Genjutsu. Itachi skills in genjutsu was so profound that he effortlessly defeated Kurenai Yuhi who was a genjutsu master in her own right. He put Kakashi under a genjutsu that can't be broken even with the use of a sharingan. He had different types of genjutsu such as the generic genjutsu sharingan (can be done by all who have a sharingan), Tsukiyomi; a power of his Mangekyo Sharingan and Demonic Illusion genjutsu. Next is ninjutsu: Itachi possesses some of the highest skills in ninjutsu in the narutoverse. He is master in three different elemental releases: Fire, Water and Wind and also in Yin-Yang releases. He possesses a susanoo, Not a full body one due to not possessing an Eternal Mangekyo Sharingan He is also a taijutsu able to hold his own against an almost perfect jinchuriki naruto. Now that we have described all his abilities, lets take a look at his battles. 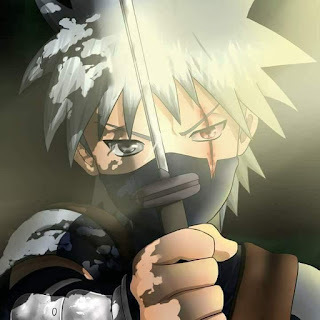 He defeated Kakashi with a look and also Orochimaru (who is a member of the legendary sannin), both very strong shinobi who can use all five elemental ninjutsu, he also defeated Yagura with amaterasu even though that was not intentional as he was getting used to his Mangekyo Sharingan. He said that if he fought Jiraiya (another member of the legendary sannin) they would both die. Itachi had very low chakra reserves and that limited his fighting ability but he made up for it with very refined chakra control. He also possessed considerable strength and speed to enable battle strong characters such as Kisame and blocking an attack from Samehada with just a kunai. He also broke out of Jiraiya jutsu Summoning; Toad Mouth Bind with amaterasu. 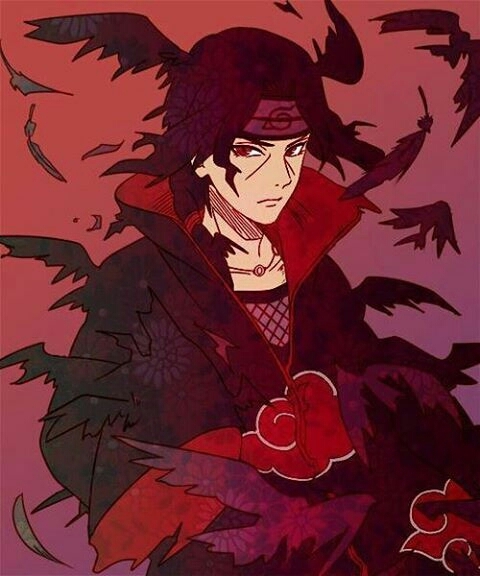 Itachi possesses enough skill to be among the strongest Uchihas and is well versed in all shinobi techniques and is also well versed in bukijutsu and in shurikenjutsu. 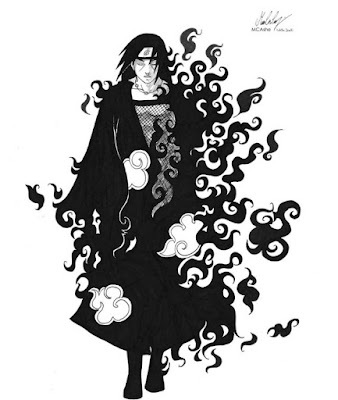 He is often mentioned alongside characters like Minato Namikaze, The third hokage, Madara and even Hashirama himself. I would start an Itachi Versus series that would compare Itachi to a lot of other characters. Itachi Uchiha was by far the strongest character in the narutoverse. He could've easily taken anyone of his clan member's sharingan (including Sasuke) after the Uchiha massacre and awaken his eternal mangekyo sharingan which would put him in a whole other league however he chose not to. 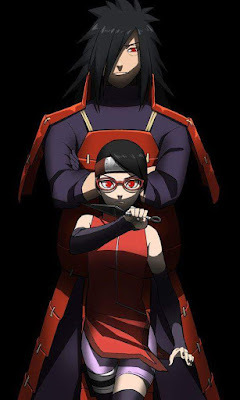 I personally think he would've killed Sasuke easily in their final battle but chose to die in the hopes that Sasuke would accomplish his dream which is to kill his elder brother and finally return to Konoha, plus it would only be fitting for Itachi to die before his brother's hands after committing a huge crime. Note Itachi's aim in his final fight with Sasuke was to lure Orochimaru out and kill him, he did this while suffering from an unknown disease which limited his stamina and performance. Itachi could have defeated Sasuke, he fought sasuke almost blind and very sick and pushed him to the point of letting orochimaru out. He would have awoken the Eternal Mangekyo Sharingan after taking his father's Mangekyo sharingan but it does not make him the strongest. The Eternal Mangekyo sharingan does not change the abilities of his Mangekyo Sharingan, it gives him the complete body susanoo and prevents blindness. But Izuna a wielder of the mangekyo sharingan was killed by Tobirama and Madara who had the nine tails, complete body susanoo and EMS was defeated by Hashirama. Itachi was very strong but he was not invincible, no shinobi is. I like your view, its very interesting, it helps put things into perspective.